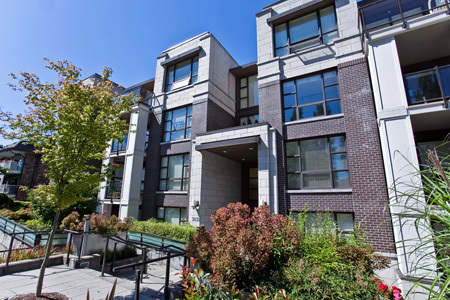 A contemporary two bedroom, two bathroom and den condo featuring 820 square feet living space located in Vancouver's upscale Point Grey neighbourhood. Downtown and UBC are minutes away by car or on any of the many buses servicing the area. 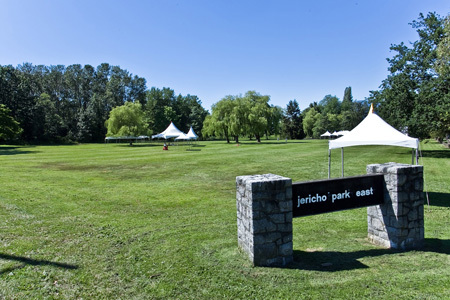 Jericho Beach Park, one of Vancouver's best beaches, is located within easy walking distance - it's just one block away, featuring acres of white sand, woodland trails, a great sailing centre and splendid views of the Coast Mountains, English Bay and downtown. Amenities are steps away and include the hot shopping district of West 4th Ave, a multitude of shops and restaurants along West Broadway and Jericho Village at the end of the block with a liquor store and boutique cafes, shops and services. A grocery store and pharmacy are located only two blocks away. 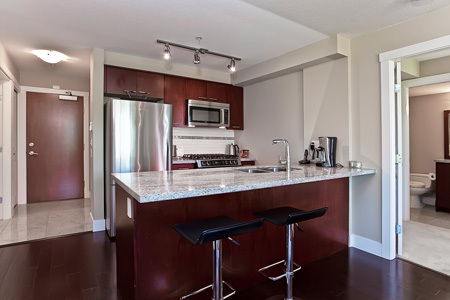 As well as being in a great location, the suite's large open layout and high end amenities allow for comfort and relaxation in a well appointed and quiet setting. 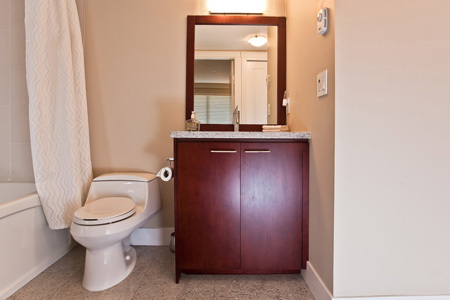 You will find engineered hardwood flooring throughout the main living area and den, granite counter tops and tile flooring in both bathrooms and new carpeting in the bedrooms. 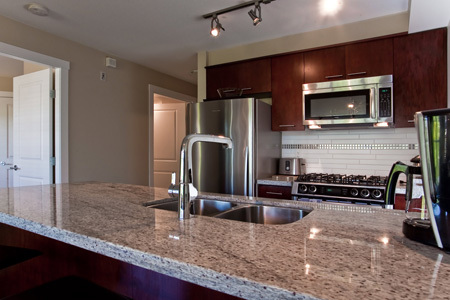 Urban Oasis features a fully equipped modern galley kitchen with bar which opens to the living room. 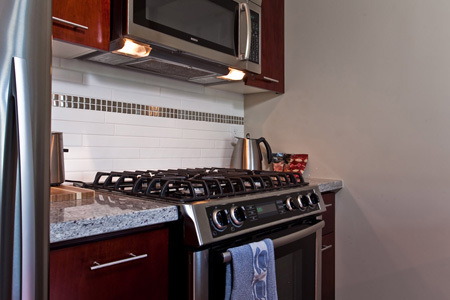 Special features include a granite countertop that is large enough to also provide counter bar seating and state of the art stainless steel Bosch and Fisher Paykel appliances. 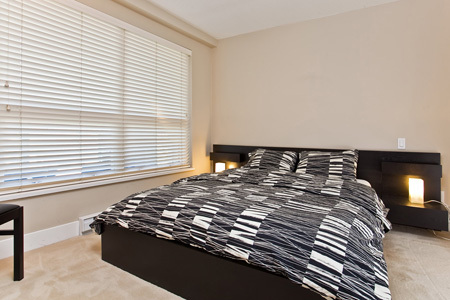 The master bedroom has a king size bed and a walk-in closet. 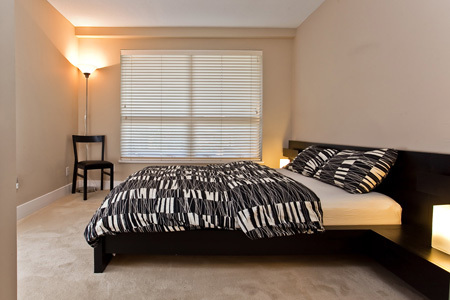 The second bedroom has a queen size bed and also features a walk-in closet. 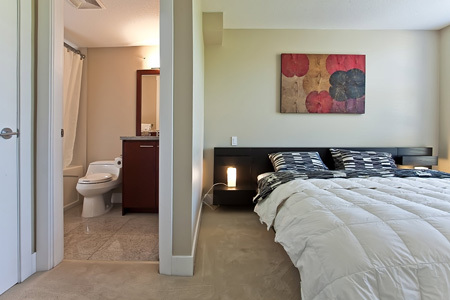 Both bedrooms have their own ensuites complete with soaker tubs and showers. 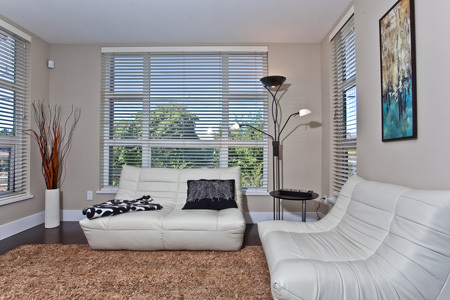 The living room offers seating for 4 on leather couch and ottoman, with additional seating at the dining table. There is a 42 inch LCD HDTV, complete with a Blueray DVD player and a Bose sound system. 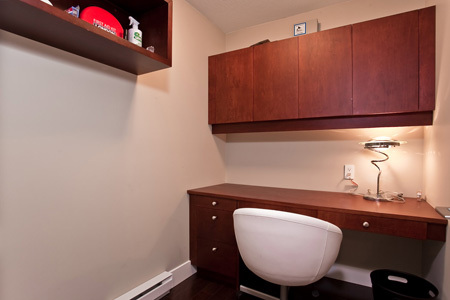 The den is equipped with a built in desk and shelves, a printer/fax/scanner. 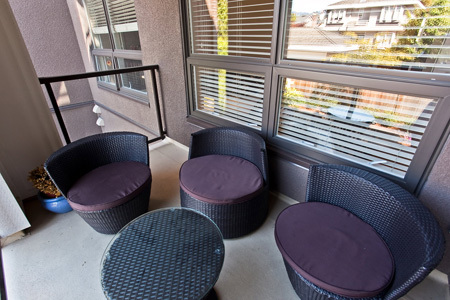 A small balcony offers a comfortable outdoor sitting area, just the perfect place to relax at any time of the day. 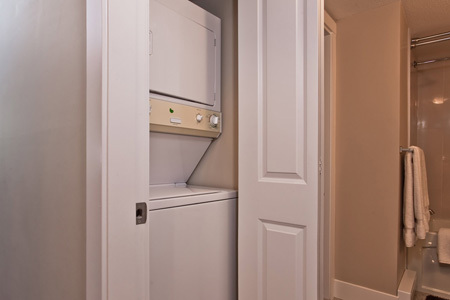 The apartment has in-suite laundry/dryer for your convenience. 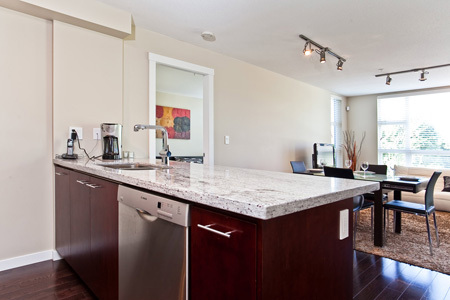 The suite includes free wireless internet use, local telephone calls and underground secured reserved parking. All linen/bed sheets/towels are provided. Additional features include iPOD docking stations, 2 bicycles, beach towels and if you are traveling with small children, highchair and crib are available on request. 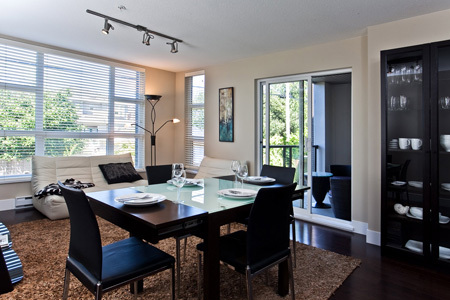 Whether by car, bus or bike, all of Vancouver and beyond is easily accessed from your apartment. The North Shore Mountains, Cypress, Seymour and Grouse, are within a short drive for skiing, hiking or dinner in a mountaintop restaurant. Whistler Village itself is only 1 and half hours drive away. 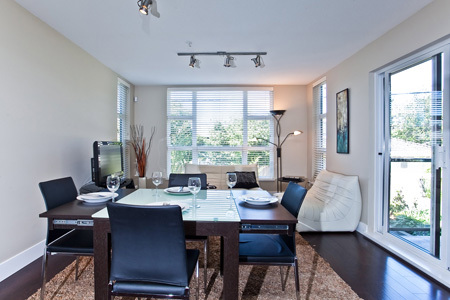 Urban Oasis at Jericho Beach is your ideal home away from home while in Vancouver for business or pleasure. 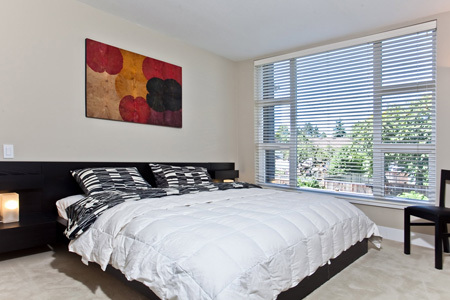 Perfectly located to explore the Vancouver lifestyle and at the same time offering a quiet place to relax and enjoy. Welcome to Vancouver and your Urban Oasis at Jericho Beach. Sleeps 2 additional guests on an air mattress on request. 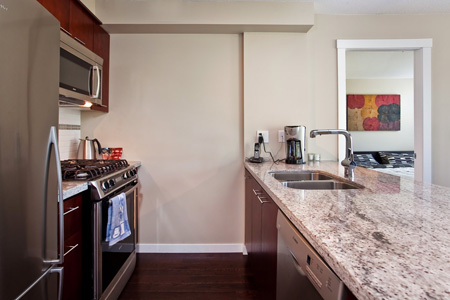 The condo was very clean and friendly. Like the location but didn't like that there was no BBQ and that the bed only had a fitted sheet and a duvet cover no flat sheet in between. 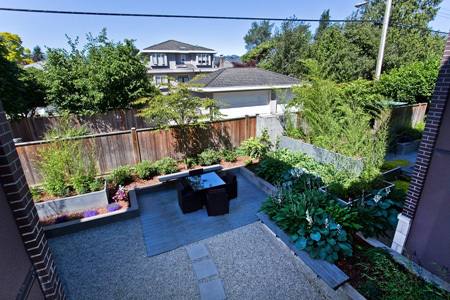 Thank you for your testimonial on the Urban Oasis at Jericho Beach. We are glad you enjoyed the property and liked the location. We will look into your concerns about the BBQ and the sheets. We hope to see you again in the future.